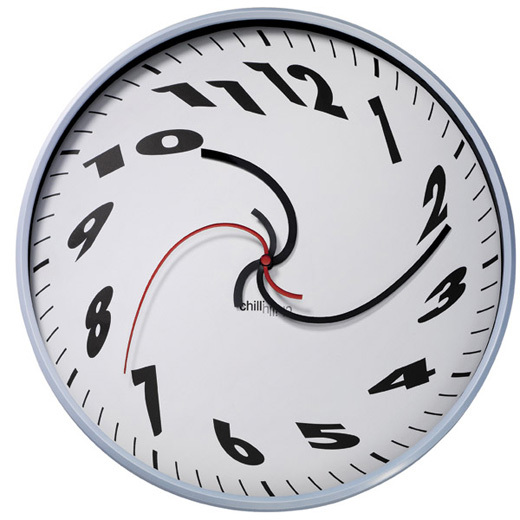 Entertaining is difficult enough when you have time to organize, but what do you do when you only have minutes to prepare? Don’t panic, it’s entirely possible to pull it together. Hang up coats and hats; organize umbrellas and any shoes. Straighten up coffee and side tables. Neatly stack magazine and books. Throw out old newspapers. Hide computer cords and laptops behind sofa cushions or in the bedroom. Fluff sofa cushions and pillows, fold throw blankets. Wipe down tabletops. Give the room a quick spray of Febreez or other air freshener. Light any scented candles. Empty dishwasher if full, then load dirty dishes. Wipe down surfaces and counters. Put away any pantry items left of the counter. If you don’t have a pantry for storage, neatly organize dry goods. Fold and hang dish towels. Give the floor a quick sweep, take out any left over trash and turn off the lights. Put dirty clothes in the hamper and toiletries in a drawer or cabinet. Fold and hang towels neatly. Give the sink and toilet a quick wipe. Take out any over flowing trash and put a new bag in the basket. Light a scented candle. A quick note, if you have a studio apartment, quickly make the bed as best you can. If you have a screen dividing the space, now is the time to use it. Turn off the high energy music and put on a more soothing playlist for background when guests arrive. Follow this plan and you’ll be amazed how quickly you can turn a disaster zone into a tidy space for entertaining. You might even have enough time to pour yourself a glass of wine and take a deep breath before the doorbell rings. For no-cook hors d’oeuvre ideas, click here. Global warming, deforestation, melting-glaciers, there are a million reasons to honor our earth everyday before it’s only a version of what we know. 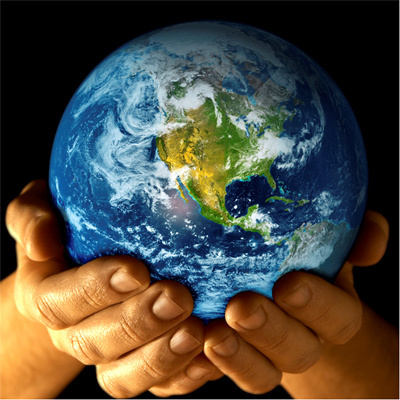 This April 22 will mark the 41st Earth Day celebration and a great time to think about all that mother earth provides. As time has past, and environmental awareness is an increasingly publicized issue, organized public parties / events are promoted around the globe. Join in the earth-loving fun and host one of your own and celebrate all that mother nature gives to us. Keep it “green” and send out an Evite or Paperless post to invite your guests. Encourage your guests to be thoughtful in their mode of transportation to your party. Offer suggestions for easy public transport or try to set up a carpool. Walking or biking would be good to if it’s feasible. There’s no need to go over board and “paint” the room green. But green, white, and brown are great colors to help you decorate your table. These are earthy, clean colors that should reflect the different color elements of the earth. Aim for a simple white backdrop with a white table cloth and white napkins. 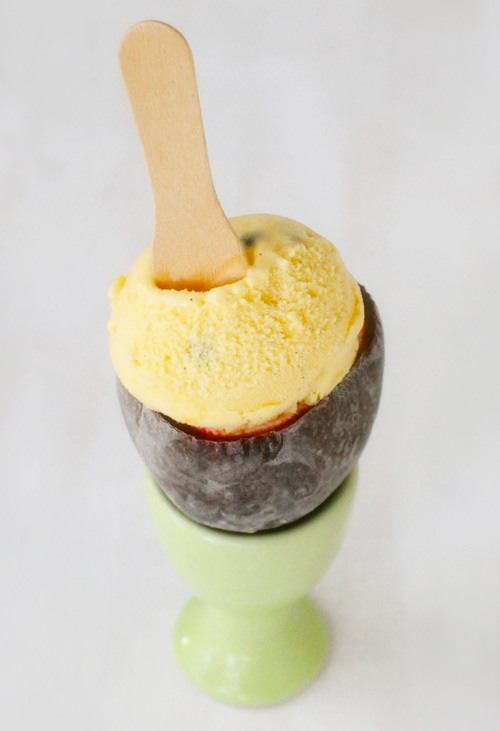 If you’re opting for disposable flatware and plates go for Bamboo. It’s organic, biodegradable and actually looks great on a table. Check out this past post to find out where to purchase. 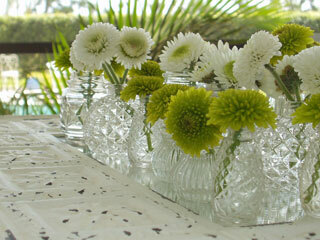 Use a variety of green and white flowers to decorate the center of the table. 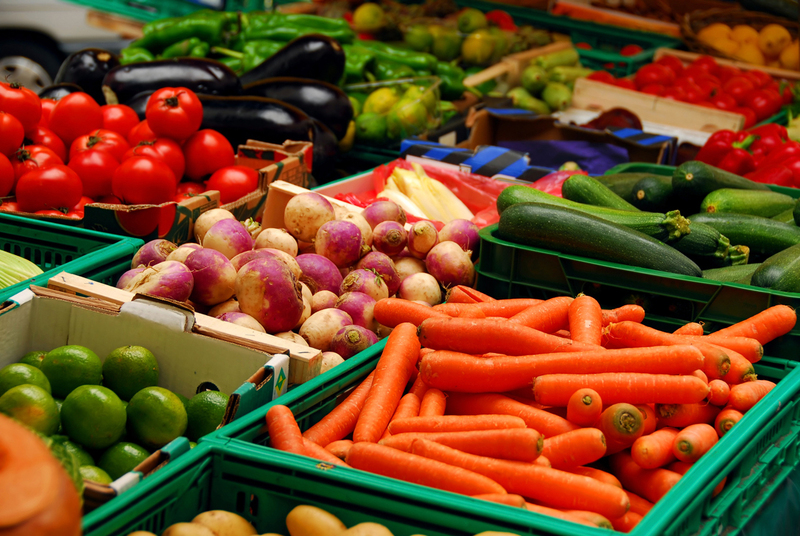 Make an effort to check out your local farmers market for what is available locally. Some of my favorites that are available this time of year are, white tulips, delphiniums and hyacinths. You can always supplement the white with green leafy branches or leaves. 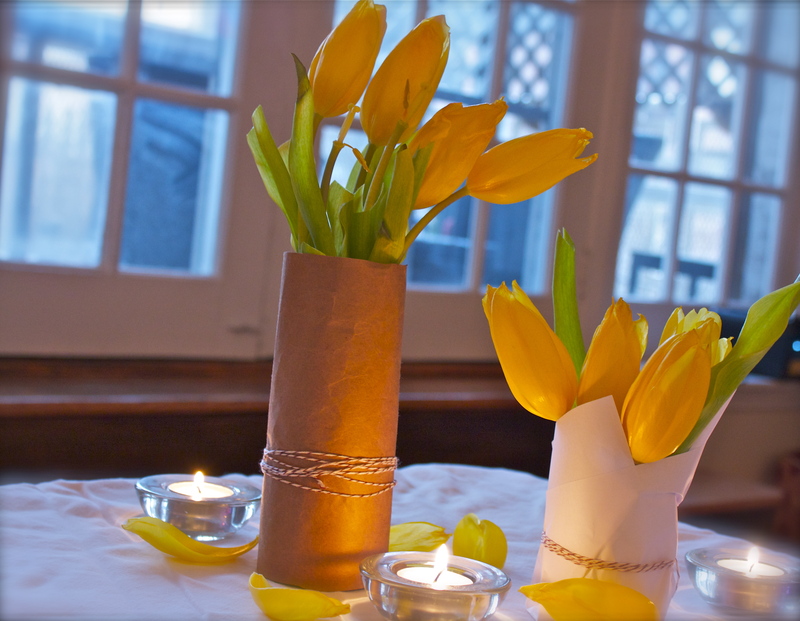 If you don’t have vases, try washing out old condiment jars, wrapping in brown or white paper. 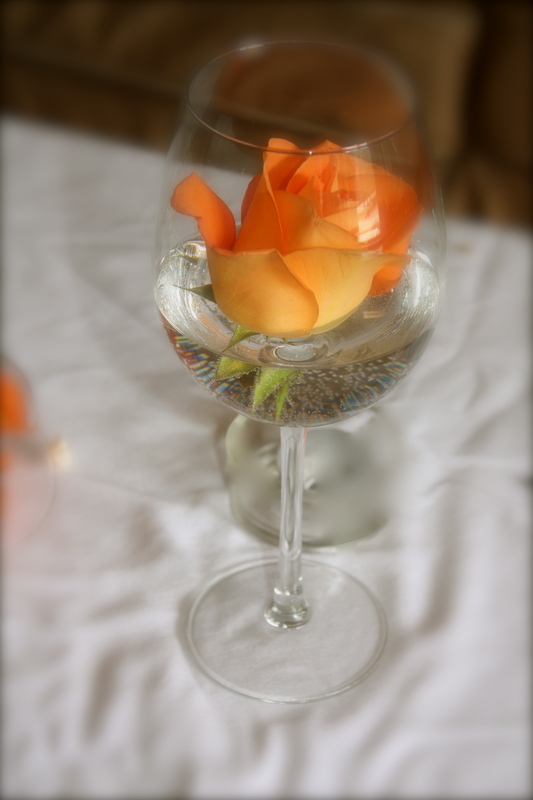 It’s a great way to recycle and makes a great rustic tablescapes. Ditch the bottled water, invest in a Brita if you don’t already have one. Break out the old wine bottles and fill with table water. 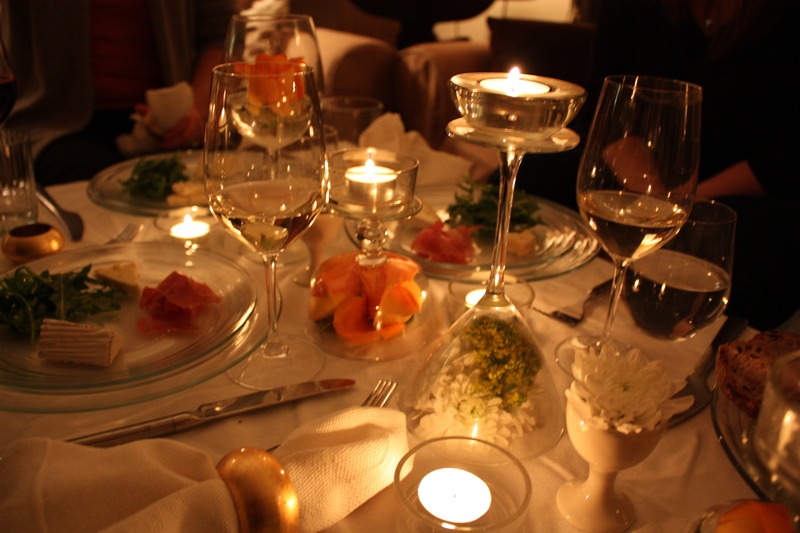 Candles are always a must, white tea candles down the center of the table gives a beautiful glow. Just as the party is a celebration of taking care of the earth, the menu is full of healthy and sustainable food to take care of your body. Check out farmers markets and purchase local and organic produce. It does make a difference not only in taste but buying local reduces your carbon foot print. There’s not a host out there who wouldn’t love to have a pantry fully stocked with every entertaining item under the sun. With so many beautiful and fun vases, candle holders, plates and trays available you could set a different kind of table each day. However, the reality is most of us don’t have the space or budget to fulfill that pipe dream. 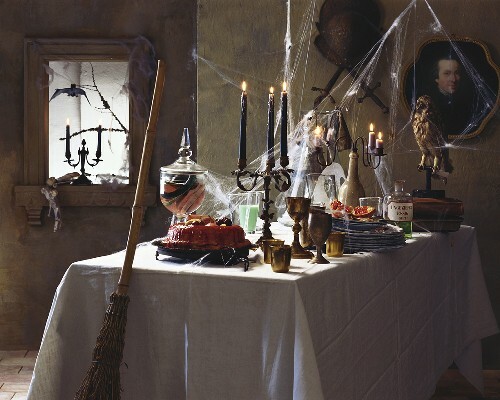 But, you can still create wonderful and whimsical tablescapes using items you already have in your cupboards. Here are just a few tricks I love to use, but try to think outside the champagne flute and I’m sure the recycling ideas will start flowing. Leave a comment if you have any ideas to share. Happy Partying! 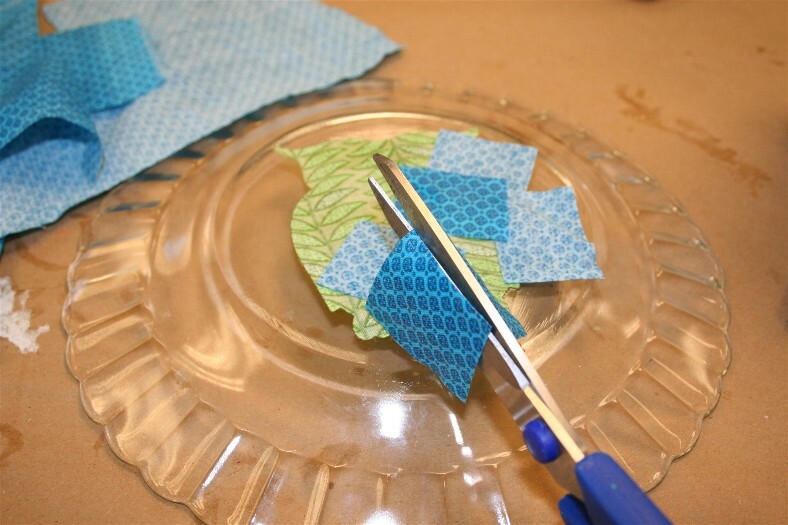 Affix fabric, decorative paper, or wallpaper to the underside of the plate with Mod Podge or tape for a less permanent approach. Each plate then has its own look and you can change to match the theme of your table. These also make great chargers to serve other plates on top of. For a casual or down home dinner use clean white dish towels instead of linen napkins. They look great on a table and also give your guests the cue it’s ok to get their hands dirty! If you are lacking any of these basic cupboard items, check out my earlier post Kitchen Therapy: Spring Cleaning for the low down on budget friendly ways to build your dishware arsenal. Also stay tuned from more easy ways to recycle everyday items!